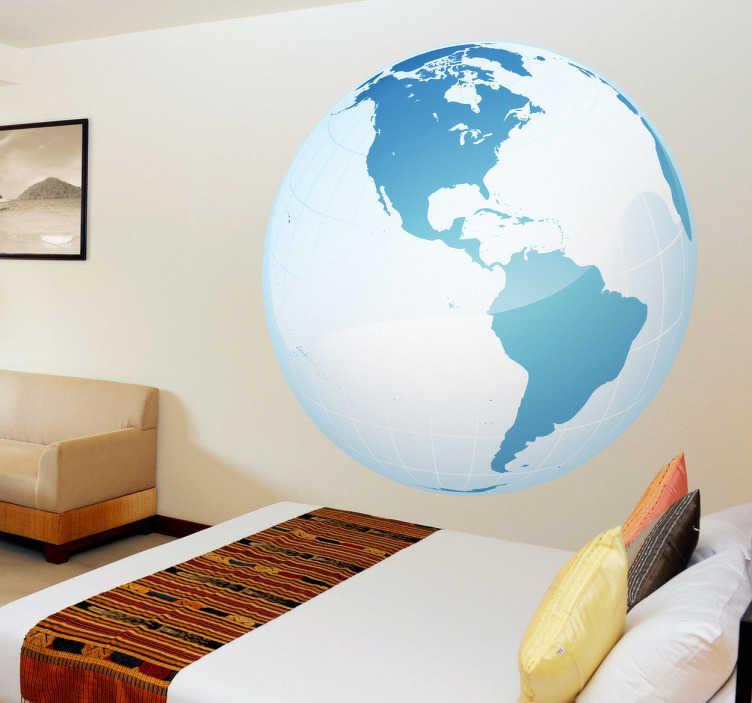 Wall Decals - 3D illustration of the world in shades of blue. Icy distinctive feature great for the home, business or schools. High quality vinyl sticker, easy to apply and remove. Available in various sizes.